This time last year we released Lady of the Lake! 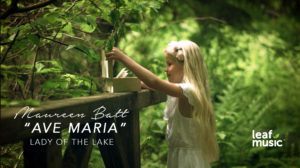 To celebrate its anniversary, we are launching a music video of Ave Maria! Video directed by Tom Belding. We also recognize the support of the Music Nova Scotia Investment Program and The Province of Nova Scotia.